Local MPs Ruth Smeeth and Gareth Snell raise a glass with Virgin Trains and Titanic Brewery to mark the launch of bod. Picture courtesy of The Sentinel. A new café bar has opened at Stoke-on-Trent station, transforming the former First Class Lounge into a facility for both rail passengers and the wider community alike. It will be the second Titanic bod bar, a new concept from the Burslem based brewery, and will be open from early morning until late in the evening. Dave Bott, joint Managing Director of Titanic Brewery, said the development represented an £80,000 investment at the historic station building. 12 new jobs will be created. “As a brewery, we are well known for our award-winning community pubs, but we see the bod concept as meeting a new need in the market,” added Dave. 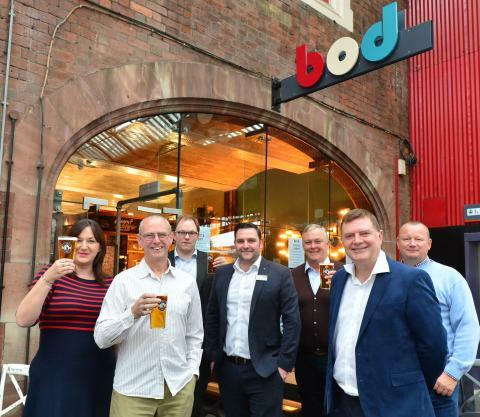 “bod opens early and is a comfortable space for coffee and a light breakfast or lunch before evolving into a craft beer café bar for visitors from lunchtime onwards. 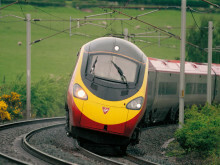 Darren Horley, Head of Commercial for Stations at Virgin Trains said: “We are incredibly excited to be working with Titanic Brewery who deserve great credit for their energy and passion. We have no doubt bod will be a great success and we look forward to playing our part in making this happen. Titanic Brewery is owned by Stafford born brothers, Keith and Dave Bott. The brewery was founded in 1985 and has grown to produce over 3.5 million pints of beer a year. It now employs around 150 people at the brewery and across the pubs and bod bars. Titanic Brewery produces a range of multi-award winning beers, including Iceberg and Plum Porter, which are sold at pubs across the UK and available in bottles from many off licenses, supermarkets and online retailers.